Our secret craft upstairs event space is perfect for parties, meetings, product launches, readings and everything in between. 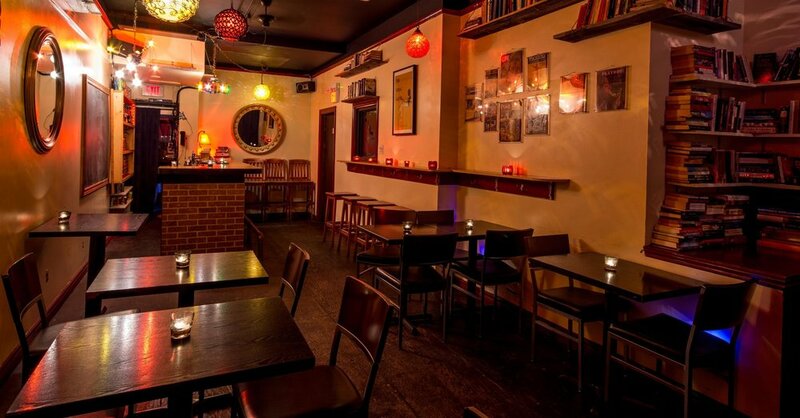 The intimate venue has true Queen West appeal and is loaded with features such as karaoke, unlimited popcorn and catering. Click here to view our full rental package including catering menu. The Library space is perfect for private informal gathering including birthdays, anniversaries, work networking and mingling events. You have control over the lighting, music and can event have a little dance floor! For readings, product launches and presentations, we are happy to provide a projector screen and audio system with microphones at an extra cost. There is no rental fee to book Library space. A minimum spend of 900 on weekend evening and 600 on weekday evening is required.